Saving stuff, in moderation, is usually considered normal. But this otherwise healthy impulse can go too far and develop into what some experts consider a clinical obsessive-compulsive disorder. Compulsive hoarding can’t be chalked up to eccentricity or a character flaw. It’s more serious and harder to control than that. It can lead to tragic consequences. One of the most famous cases involved some wealthy and reclusive brothers. In 1947, their bodies were discovered in a crumbling New York City mansion packed with more than 100 tons of junk. 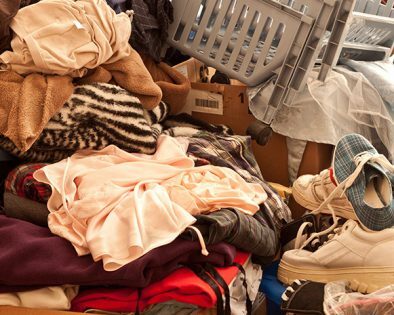 Last year, a woman was smothered when a massive pile of clothes toppled on her. And a few fatal fires have even made headlines. Hoarders tend to fill their homes with flammable material and often block hallways and exits in the process, which can make escaping a fire impossible. Hoarding can affect people of all ages and backgrounds. As many as three to six million North Americans may be afflicted at some level, and hoarding often requires extensive treatment. But many deny that they have too much stuff or that the clutter is a problem. And even those who seek treatment can’t always find or afford the currently recommended approach: cognitive-behavioral therapy (sometimes paired with medication) from a specialist. It’s a myth that hoarders keep only junk. Like the rest of us, they may save things that are beautiful, useful or have sentimental value. The difference is that hoarders often find beauty, utility and meaning where others don’t. Most people, for example, can recycle an old newspaper without a second thought. But a hoarder who saves old newspapers may see an archive of valuable, potentially lifechanging information. From that perspective, discarding a newspaper is wasteful, foolish, perhaps even a personal failure. And so this clinical disorder transforms the everyday act of throwing away an object into a deeply wrenching, personal violation. Organization is also a nightmare. Compulsive hoarders usually have trouble categorizing items, find it difficult to make decisions, and worry that objects not in sight will be forgotten. They might leave clothes on top of a bureau, for example, instead of putting them in drawers. Over time, a few items piled here and there grow into mountains of dangerous clutter. This can become dangerous. The dust, mildew, mold and rodent droppings commonly found in extreme clutter can irritate allergies or lead to headaches or respiratory problems, like asthma, for hoarders and their families. In some cases, home maintenance suffers, so individuals may endure freezing winters without heat and sweltering summers with no air conditioning. Clutter also places hoarders and their families, especially the elderly, at high risk of injuring themselves in a fall. Extreme hoarding endangers not only the residents, but, also neighbors and firefighters, who face greater risk of injury and death when battling clutter-fed flames.